We've set a date for West Marine Night. 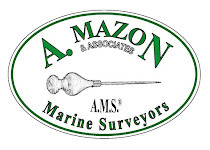 Offshore racers, crew and friends are all invited to West Marine, 1176 N Hayden Meadows Dr., Portland, on Thursday, March 14, 2013 from 6:30 PM to 8:00 PM. They will have special event pricing for many items. The event pricing will extend to special orders that are made that night for things not in stock. OCSA is subsidizing the cost of this seminar, making the fees very affordable. 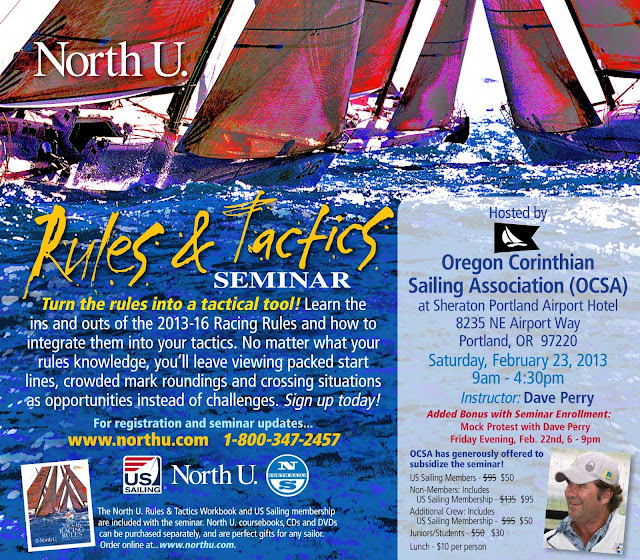 Registration for the seminar can be found here: Dave Perry Seminar Registration. 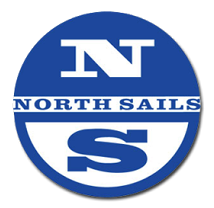 US Sailing members also get a discount, so now might be the time to join US Sailing - you will get a copy of the new Racing Rules of Sailing when you join US Sailing. Offshore weekend will be busy at both the Ports of Victoria and Astoria. May is when the cruise lines reposition their ships from cruising sunny Mexico and the Carribean and head for summer cruising in Alaska. There are two cruise ships, the Norwegian Pearl and the Norwegian Sun, who will be going up the coast from Astoria to Victoria. The Norwegian Pearl will arrive in Victoria on Friday at 0800 hours and leave at 1700 hours, the Norwegian Sun arrives on Saturday at 0800 hours, leaving at 1700 hours. There are also two ships heading to Victoria from San Diego. The Westerdam arrives on Thursday at 1700 hours and leaves at 2200 hours. The Zuiderdam arrives on Friday at 1400 hours, leaving at 2300 hours. 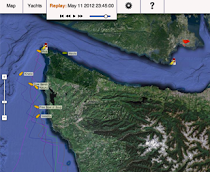 Many racers will see these ships offshore - some may see them up close, since some of the scheduled departures are at times when racers are likely to be arriving in Victoria (the fast ones anyway). Saturday will be a busy day at the cruise ship docks, with both ships and Offshore racers arriving. The Oosterdam arrives at 1800 and leaves at 2359, just in time for racers to be finishing. The 2013 Offshore Race packets are now available on the web. Follow this link 2013 Oregon Offshore Race Packet or use the link to the left of the posts. We are looking forward to seeing everyone at the race. Great news for boats that need a qualifying race for the 2014 Vic-Maui. The Oregon Offshore is now one of those qualifiers. More information will follow, but now is a good time to put our race on your racing schedule.